**MODEL CLOSEOUT!! Already built with free luxury upgrades!! 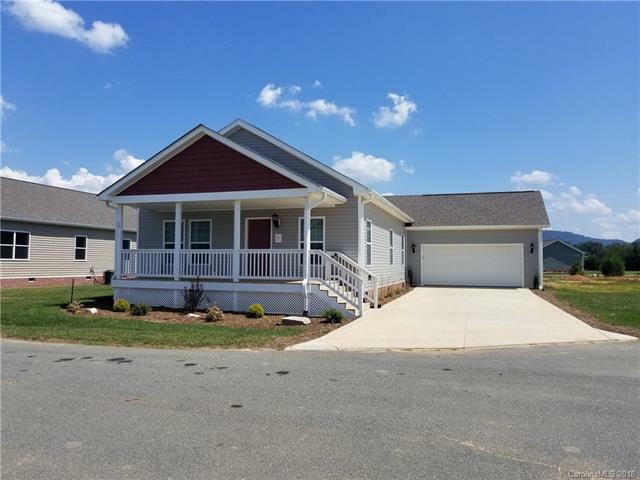 ** New Construction in Desirable 55+ Community minutes from Hendersonville & Brevard. Features: 1680 Sq', 3 bedrooms, 2 full baths, open & split floor plan, cathedral ceilings, hardwood floors & cabinetry, granite counters, low energy led light fixtures means no bulbs to change, gourmet island kitchen, luxurious master suite & bath, living & formal dining, attached 2+ car garage & covered front porch. Community features, clubhouse, pool & recreational facilities. Newly completed! Sold by Realtypro Asheville, Inc..